Class 4 at great price! HP Advanced Photo Paper is an instant-dry photo paper that is broadly compatible with all inkjet printers. The Auto Sense technology is specifically designed for particular HP Inkjet printing systems. Get bright, bold images in high resolution with a 680K pixel CCD. Better than conventional camcorders, the SAMSUNG SC-D382 has digital quality, which offers superior color and amazing details. A 720x480 pixel resolution will create crisp, crystal-clear images that are more lifelike than ever before. Tired of interrupting your recording to charge the battery? Youll never miss a shot with a battery life of 80 minutes. SAMSUNG's powerful 34x optical zoom lenses bring the world closer without sacrificing image quality. Eliminate blur with the digital image stabilizer. It minimizes unwanted picture shaking caused by hand movement during recording. 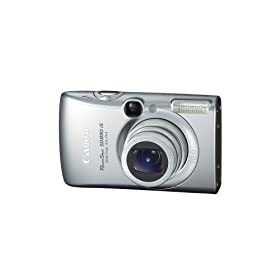 Inside its sleek, pared down design, this top-of-the-line PowerShot A2000 IS is packed with easy-to-use features. You've got a 10.0-megapixel resolution and a 6x Optical Zoom with Optical Image Stabilizer for big, beautiful prints and superb stability. To keep subjects looking their best, the DIGIC III Image Processor with Canon Face Detection handles the technical details - automatically. An Easy Mode allows you to concentrate on your scene, while Easy Playback lets you screen your images on a super-sized 3.0-inch LCD. Kingston 4GB MicroSDHC with 2-adapters Starting at 4GB,microSDHC card offers higher storage along with the versatily of transforming the card into a miniSDHC or full-size SDHC card. Kingston's microSDHC card uses the new speed 'class' rating of Class 4 that guarantee a minimum data transfer rate of 4MB/sec. for optimum performance with devices that usemicroSDHC.